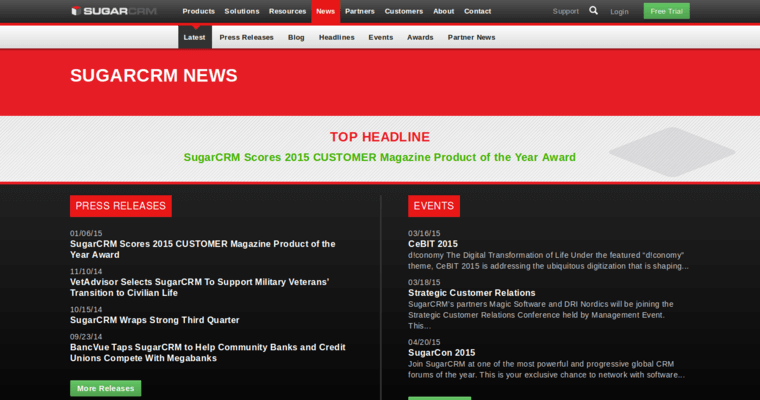 Founded in 2004, the company behind Sugar CRM has a tremendous amount of experience in the field of customer relationship management. This software contains a number of advanced tools for optimizing your sales pipeline, and it is flexible enough to be implemented alongside almost any existing software. Since the software is so versatile, it will grow as your business develops. The software is available all over the world, and it can be used in 26 languages. 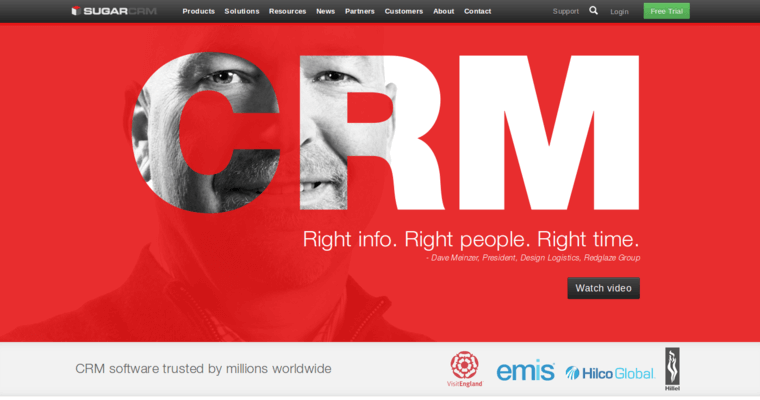 More than 2 million users take advantage of Sugar CRM on a daily basis. 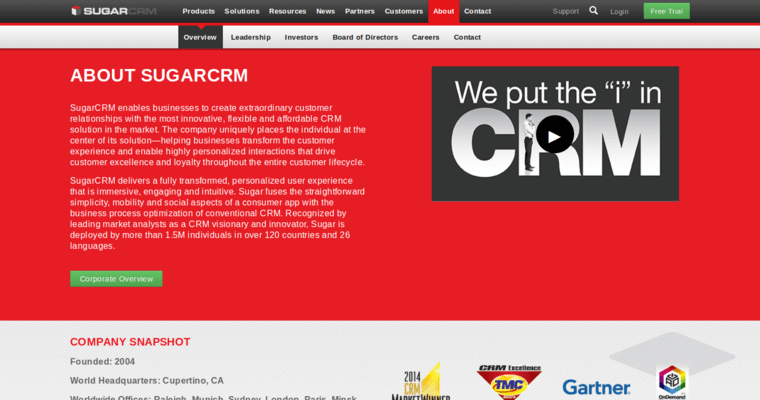 With global offices in major cities all over the planet, the experts behind Sugar CRM are never out of touch. While there certainly are other CRM options out there, none offer the focused attention and direct functionality of Sugar CRM. This software is the leading example of CRM-focused digital tools, and it can drastically improve sales by helping the staff in many areas.